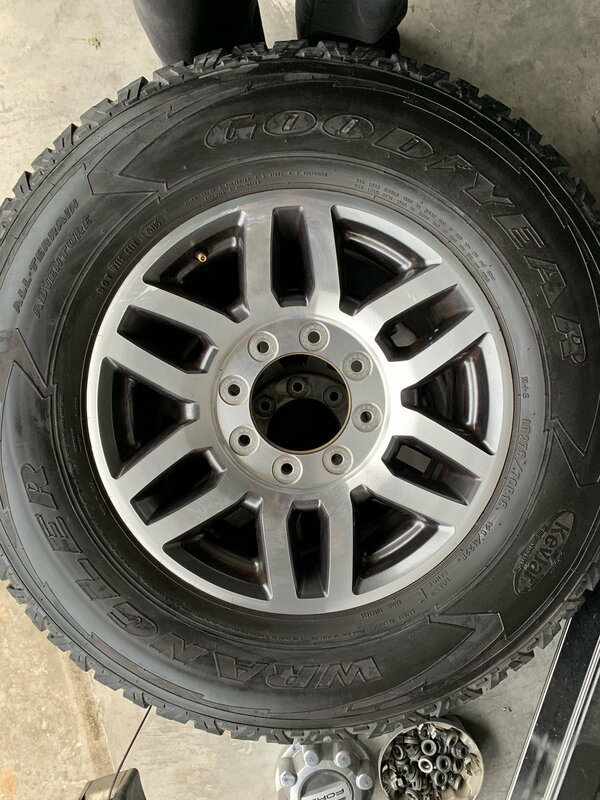 For sale are factory wheels and tires from my 2017 f250 6.7 lariat. 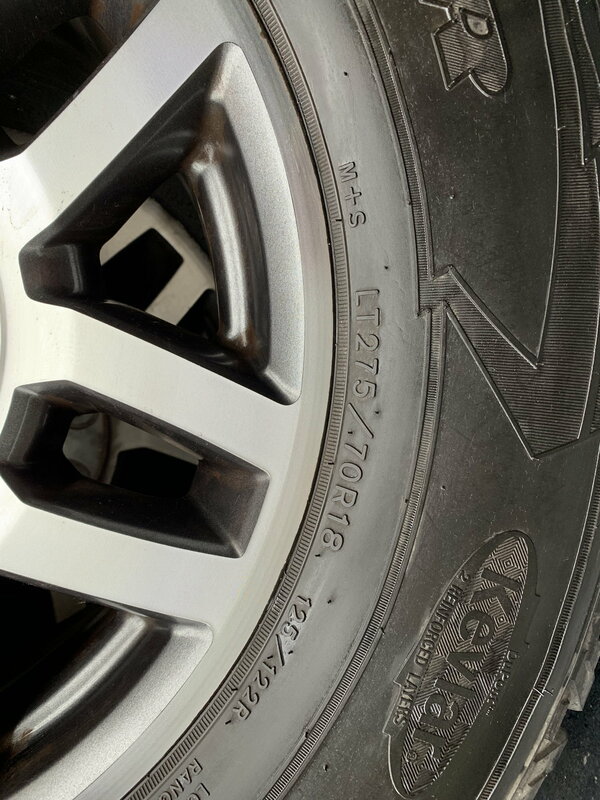 The wheels are 18", tires are Goodyear wrangler Kevlar 275/70R18, approx 25k Mike's on them , always rotated every 5k, no off-road with them, no repairs, lots of life left. 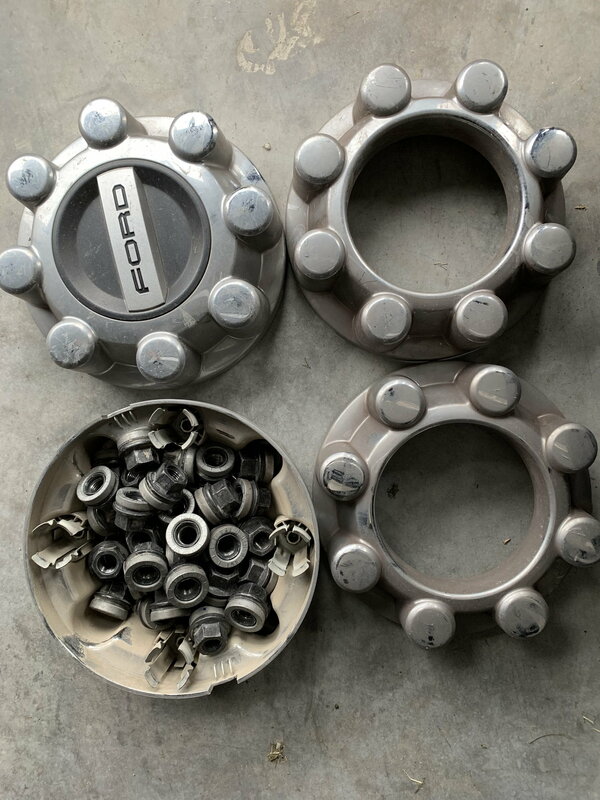 Comes with OEM ford hubs and lugs. Prefer FTF cash pickup west Fort Worth . If you want them shipped, you arrange service and pickup date after payment.